Two air-conditioned Master Bedrooms, each with en-suite bathroom. Two air-conditioned Guest Bedrooms (one twin, one double) with en suite bathrooms. Spacious open-plan Living/ Dining Pavilion with large covered terrace. 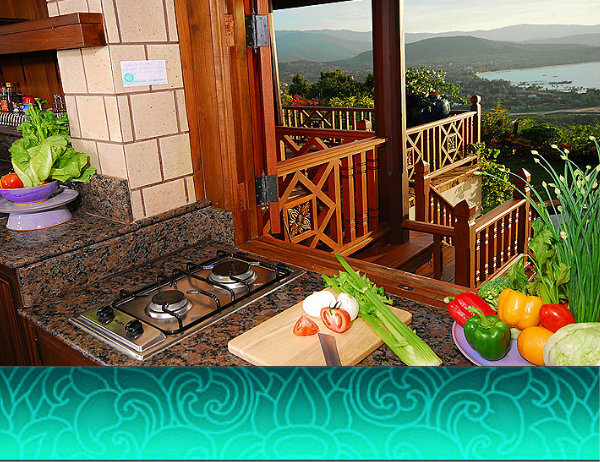 Exterior decks and balconies, pool terrace, and Thai sala for relaxation. A car is based at the villa, and is available for rent by the villa's guests, either as self-drive or with a driver. (An INTERNATIONAL Drivers Licence from country of origin, or an ASEAN member country's licence, is required by Thai law). 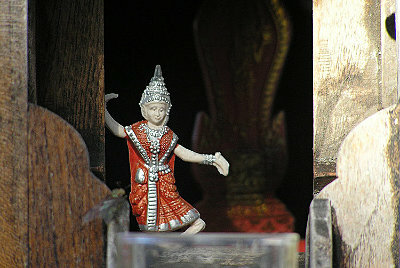 The villa's staff are at the guests’ service throughout their stay. Pool towels are provided and replenished as required. 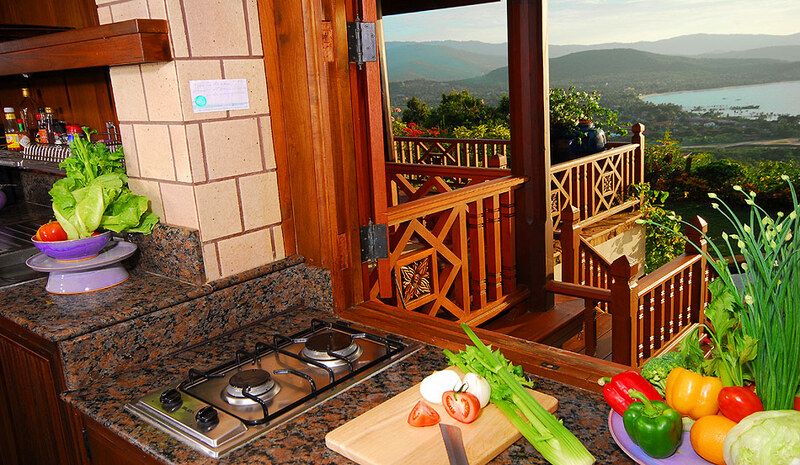 Meals: breakfast, lunch and dinner can be provided and prepared according to guests’ wishes, and the provisions for these will be obtained on guests’ account. The villa also stocks some good wines. Airport transfers are arranged at a charge of US$ 25 each way. Concierge service for all tours and activities; private tours or car rental can also be arranged. Drop-off to or pick-up from the beach provided. 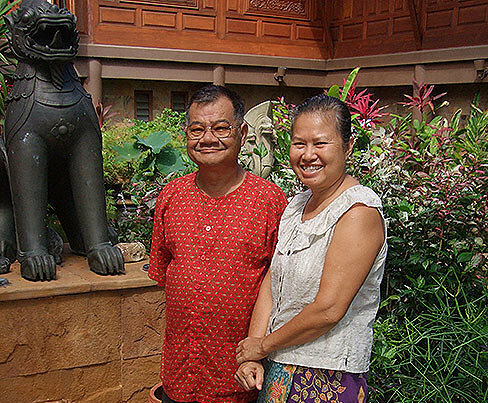 Khun Oy and Khun Wally have been resident managers at Tassana Pra for 7 years and their pride in the house and its gardens is obvious. They are trusted friends of the owners and live onsite in separate quarters. Khun Oy prepares delicious Thai and western meals in a specially designed service area downstairs. Wally is something of Barista and makes fabulous coffee. The couple are a mine of local information and treat all their guests like family, attending to every need and request with gentle courtesy and a constant willingness to please. Additional staff maintain the property inside and out and ensure the rooms are kept clean and tidy during guests' stay, as well as providing security for the premises. The resident cat, Tassana, wanders freely through her domain, but the staff will keep her out of the way on guests' request. Bumi, a young Labrador cross, can also be kenneled if requested. The staff are professional and friendly. The meals were wonderful, thanks to Oy. Her Thai food was fantastic.